JH: Sustainability means the interaction of people, plants and animal life within their living environment and finding a balance so that life as we know it is indeed sustainable or viable for the present and future generations. I believe the Integrated Community Sustainability Plan or ICSP should be an integral part of Cobourg’s Official Plan which is to be adopted by Cobourg Council in 2015. This plan is all encompassing as it incorporates land-use planning, energy conservation, air quality protection, waste reduction, active transportation, food sustainability along with environmental initiatives such as drinking/waste water/waste management programs and learning to respect our naturalized sensitive and environmental constraint areas. It involves working with a number of stakeholders such as The Town of Cobourg, Northumberland County, HoldCo., The Ganaraska Region Conservation Board, Businesses, Industries and the Ontario Provincial Government and related agencies. Without question, the integration of services and resources would result in a direct socio-economic impact on our Downtown Vitalization Projects and Heritage Master Plan that are to be completed in the spring of 2016. JH: The Town of Cobourg Council will be adopting a newly updated Official Plan, new Zoning By-laws, Heritage Master Plan aligned with the Downtown Vitalization Plan and a Parks & Recreation Master Plan by 2016. What an opportunity for the new Cobourg Council to adopt the Integrated Community Sustainability Plan as part of their Strategic Plan 2014-2018. 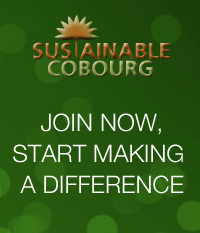 It would result in a Sustainability Charter for the Town of Cobourg. The defined outcomes as established by the citizens, Council, The Active Transportation Advisory Committee and staff could be integrated into the Operating and Capital Budget annually with specific outcomes. Northumberland County could align their budgets accordingly, thus maximizing our resources and integrating our service delivery wherever possible. This could be aligned with our newly formed Standing Committee such as Operations which is all-inclusive. JH: Being part of the new Cobourg Council 2014-2018, I would recommend strongly that the Integrated Community Sustainability Plan be part of Council’s Strategic Plan under the Standing Committee of Planning and Development. This plan would involve the entire Cobourg community and would be extensive. It would also meet Ministry directives regarding the Corporate Energy Conservation and Demand Management Plan as required by the Green Energy Act, Water and Waste Water Provincial Conservation Standards, and the recent Climate Change documents, such as the one just released from the GRCA. Aligning the ICSP within the Town budget would allow Council and the community to measure the outcomes and to communicate to the public as to how well we are truly addressing key initiatives. I believe Ontario municipalities are moving in this direction and I would personally like us, the newly-elected Council to lead by example. I believe this plan can be in place by 2018. Let’s demonstrate leadership! JH: Yes, most definitely! As a Town Councillor and Coordinator of Planning and Development, I have always supported initiatives that promote active transportation. Working with my colleagues to create multi-use trails, supporting Northumberland’s Cycling Master Plan and The Bicycle Action Committee initiatives-School Programs, Bike Week, incorporating bike racks in all new developments and the creation of the Active Transportation Committee. I am very pleased that this committee is completing an application for the Town of Cobourg to be considered a Bicycle-Friendly Community.